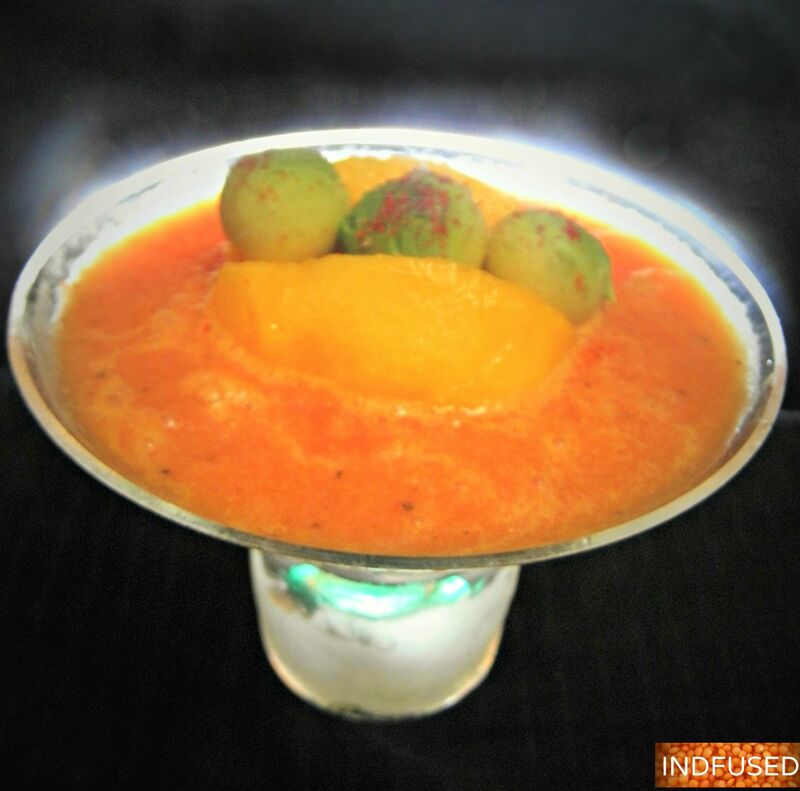 Chilled Watermelon Soup served in a frosty glass ! And did I mention that there is no need to turn the stove on, at all? Needless to say, that is why I concocted this recipe 🙂 It also is helpful that this soup can be made ahead and chilled! The super sweet watermelons in the market now are perfect for this soup and the delicate seasonings let the flavor of the watermelon to shine through. It also has such a nice foamy texture when blended with the coconut cream! The avocado balls add a very nice contrast in both taste and texture. Do try it this weekend and you will know what I mean. Simply, blend together the watermelon pieces, coconut cream, cumin seed powder, ground pepper and the sea salt until nice and foamy. Chill. Serve in frosted cups or glasses topped with avocado chunks or balls! Sit back, relax and enjoy the chilled watermelon soup! Thank you so much Antonia! Yes I was trying to get that’cold coming off the frosted glass’ look.So your review means a lot! Thanks Bec! It is very hot here right now! I have never seen anything like this Sandhya! AND it looks like something I can do. WOW! You ALWAYS impress. Thank you!!! I’ll give it a shot. Thanks for the recipe Sandhya, looks like we can use it in between dish 🙂 refreshing and it looks fancy!